Larry Hanks, age 76, husband to Susan Tatum Hanks, passed away Wednesday, March 27, 2019 at Miramar Beach, Florida. Larry was a member of First Presbyterian Church in Georgetown, a graduate of Taylor University, a former employee of Georgetown Municipal Water and Sewer Service and was the owner of Pampered Properties, Inc. He was a certified Arborist, a registered consulting Arborist with the American Society of Consulting Arborist and Certified Arborist with the International Society of Arborculture. Larry was a Freemason-32nd degree and he was a devoted fan of the Cincinnati Reds and the Dallas Cowboys. In addition to his wife Susan, Larry is survived by his children and grandchildren: Melanie Hanks Lucas (Greg), and their children, Amanda, Matthew and Andrew of Georgetown, Kentucky, W. Timothy Hanks (Jennifer), and their children, Sara, Ali, Rachel and McCaleb of Paris, Kentucky, Kim Donaldson, and her children, Miller and Blair, of Lexington, Kentucky and William Ryan Hanks, and his children, Carmen, Aiden and Lilly of Coral Springs Florida. He is also survived by a very special aunt, Susie Schendel "Aunt Dinky", and cousins Arcasia Haymore, Joey Schendel and Sammy Cockerham. 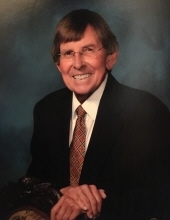 Memorial visitation for Larry will be Saturday, April 13, 2019 from 11am to 1pm at Tucker, Yocum & Wilson Funeral Home with a memorial service at 1pm with Rev. Wanda Olive officiating. Honorary bearers will be Dr. Dan Potter, Hubert Caudill, Lynn Jones, Jerry Bristol, Rich Thompson, Don Cruthers, Tommy Payne and Dr. Jay Goldman. Donations may be made in Larry's name to KET, 560 Cooper Drive, Lexington, KY 40502 or Woodford Humane Society, PO Box 44, Versailles, KY 40383. To send flowers or a remembrance gift to the family of Larry Hanks, please visit our Tribute Store. "Email Address" would like to share the life celebration of Larry Hanks. Click on the "link" to go to share a favorite memory or leave a condolence message for the family.